The online roulette table will feature a grid in which all the numbers are laid out in three vertical columns twelve horizontal lines. 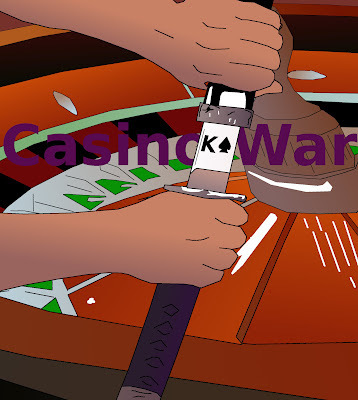 A bet is placed in this online casino game by clicking your mouse over the numbers you choose. The two main types of bets that can be placed when playing online roulette are the inside bets and the outside bets. The inside bets are placed inside the betting grid and the payouts have higher odds. The outside bets are placed outside of the betting grid and they include larger groups of numbers with lower odds. Online roulette is one of the casino games where the player may place more than one bet in a single game. There are many different inside and outside bet combinations that can be placed when playing online roulette.